Company Profile - Asanomokkou-sho co ltd is the tool factory for gardening,Snow removal,Road construction and Leisure in JAPAN . 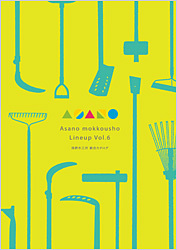 Copyright © 2008 - 2019 Asanomokkou-sho co ltd is the tool factory for gardening,Snow removal,Road construction and Leisure in JAPAN . All Right Reserved.